Eternal Haunted Summer: If you could correct one misconception about polytheism, what would it be? Uche Ogbuji: I’d love in particular to target sub-Saharan Africa where missionaries successfully developed a stereotype of pagan religions as intrinsically barbarous. Such damage started with the trans-Saharan trade bringing Islam to the Sahel band that stretches West to East right across the continent not far north of the equator. The Muslim traders had wondrous wares, especially muskets, and you can imagine their converting locals by relating that such superior kit was a consequence of the monotheistic religion from which all superiority supposedly flows. Of course in reality they just had readier access to the rest of the world than denizens of Africa’s lush but impenetrable rain forests. Local trading centers became Islamized and then became centers for conquest. The signal example is the extraordinary Songhai Empire, comparable in scope to the great empires Westerners would have learned of in school, but unfortunately unappreciated outside Africa. Before and after Sonhgai, from the Mali Empire to the Hausa city-states and Sokoto Caliphate, Islam spread all too successfully, sometimes by social forces such as family ambitions, and sometimes by brute-force conversion. The message on offer was that traditional African religions, with their many and many-sided goddesses and gods, and their numinous association with local places and phenomena, was backwards and repugnant. This process dating back to the 1200s (and earlier in Africa further north) meant an incalculable loss in the local genius of ritual, medicine, crafts, and arts. It only deepens the sense of loss to reflect on the fact that so many from the better preserved pantheons of Ancient Egypt and the Mediterranean, including Greece and Rome, had roots in deities of Northerly Africa. British, French, Portuguese and Belgian colonizers came hundreds of years after the monotheists from the north, and they came from the southern and southeastern coasts once their sea-faring and navigation became sufficiently advanced. The caliphates I’ve just described were too powerful, so the Europeans sought to open up new territories the trans-Saharan trade had not directly transformed. They came at first for natural resources (including slaves), but as they took over more and more territory to control access to those resources, they found conversion to Christianity a useful tool of hegemony, and of course missionaries saw this as a sacred duty. The same message was given: monotheism is the moral engine of progress, and polytheism is the root of barbarism. The same forces were applied, from the socio-political to the brutal, but the Europeans used a much heavier hand so the process was compressed in time. The British, just for an example from my own background, were known to turn machine guns on massed locals resisting colonial power, while those under the protection of missionaries would be spared. You can imagine the grim effect of such a scene on the missionary’s next targets for conversion, which in much of West Africa proved all too successful. Islam and Christianity’s emphatic patriarchy also rode roughshod over far more nuanced (and often outright matriarchal) gender equilibria of the indigenes, leading to further upheavals, a major example of which was the famous Aba Market Women’s Riot, which occurred not far from my hometown, and was tragically settled by the British application of the machine gun. Growing up in Nigeria, I became desensitized in how often I heard that “pagans and heathens” were the agents of all Africa’s woes, that modern arts and sciences were compatible with monotheism rather than traditional religions, that traditional practitioners were “bush people.” Having grown into profound sympathy with African polytheism, and a great interest in honoring my own ancestral traditions, I would love to correct the deeply-set misconception back home that only greater repudiation of the old cultures can improve the lot of Africans. I’d love to spread a message that we can study post-colonial and modern development, and take what makes sense, applying it to our unique African context, and that if anything we will come less painfully into our own place in the world if we at least acknowledge our history and ancestral beliefs. EHS: How would you describe your personal spiritual path? UO: I was brought up Catholic. Both my parents grew up under the coerced spread of Christianity by the British colonial power. My mother’s family lived on a navigable river close to the Atlantic coast and had been in contact with missionaries for nearly a century, but my father is from further inland, Igbo territory, the very last in West Africa to have been colonized. His own father was one of the first converted catechists in the area, largely as a way to get ahead under the new regime. I strained against Christianity pretty early on, largely thanks to my interest in science, my learning about the patterns of history that led to the religion’s spread, and my absorption of Mesopotamian, Egyptian, Norse, Hindu, Buddhist, and Classical Greek and Roman sources. My secondary school years were spent in Nigerian boarding school where Christianity, with a small minority of Islam, was enforced by school policy, and yet could never stamp out old tales from the traditional religions. My interest in these traditional religions increased throughout my University which is when I became interested in literature, and mostly poetry, while studying Electrical Engineering. I think my fascination with European paganism started with Robert Graves, whose infinitely entertaining writing touched on the Old Religions from England and the Celtic countries through Mediterranean Europe. Graves’s passion in associating the energy of these religions with the roots of poetry was very influential on me, and set me on a journey even beyond his immediate scope to learn of the many ties between Pagan faiths further East in Europe, in Asia, in Africa, in Oceania, and among the first peoples of the Americas. Graves also led me to dig into the evolving subtleties within those systems, such as the change in Greek religion from the chthonic deities originating in Africa and their Near East to the Olympian pantheon which emerged from the highly structured city-state builders, which is what went on to shape Classical Roman traditions. I learned to pay attention to the very clear manifestations of those changes even in keynote works such as the plays around the Oresteia cycle and the Orphic and Dionysian traditions. The richness even within a single geography is stunning and inspiring, and made me very annoyed indeed when I read arch-reductionist formulae of “world myth” such as those of Joseph Campbell and to a lesser extent James Frazer. I detest Campbell for the way he made people look on the glorious myriad of stories in the world as if they were flatland shadows seen from some Christian-constructed high tower. All this study, these impressions and reactions, have shaped my writing more than anything else. Unfortunately the British did a good job in stamping Christianity on the very pragmatic and mercantile Igbo people, so it was a lot harder to start to probe those traditions than it was to access those from other parts of the world. 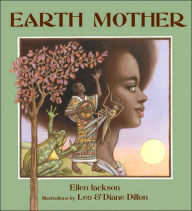 Basics such as the importance of the Great Earth Mother Ala were always there, but I craved the same sort of nuance within Igbo cosmology (Omenala or Odinani) that I’d found elsewhere. Luckily, in the past decade or so I’ve become aware of many of my generational peers with the same craving, working to reassemble our deep traditions in every form, from the old tales, differentiated across the parts of Igbo country, even to the old secret society writing systems (Nsibidi). I’ll admit that I presently have no faith that extends to devotion. Nevertheless, my interest in Pagan faiths is far from sterile and intellectual. I like to say that I’m open and sympathetic to the numinous, and that I feel it most keenly when I am writing. I warm to the idea of muses, or the fund of creativity that rises into me from the earth. My writing is often infused with the relationships and comparable stories across religions and between faiths and science and I feel myself most alive, most infused with spirit, when I’m probing these interactions. EHS: You have lived all over the world, including in Nigeria, Egypt, and Great Britain. Why settle in Colorado? UO: There is a genius to Colorado that has me utterly captive, and has from the very first time I visited, a few years after university when I drove through the state on a road trip with friends to San Francisco. We spent a few days with another friend in Ft. Collins, which I remembered fondly enough later on that it’s where I first lived upon relocating. The charming, offbeat, eclectic culture was immediately in evidence, as were the beautiful formations of the Rocky Mountain foothills. It seemed a place that compelled you to think of the outdoors. There wasn’t a lot of census-evident diversity, but people I met seemed open-minded and world-aware to a far greater extent than anywhere else I’d been in the US. In the few years of elementary school I’d spent in the US, I’d lived in Cleveland and Gainesville. On returning I also lived in East Brunswick, New Jersey; Milwaukee, Chicago, Peoria, and Dallas, but never anywhere more than three years. In fact I’d never lived in any one town longer than three years in my life. Even in Nigeria a single decade saw me in Enugu, Owerri, Okigwe, Yola, Nsukka, and Port Harcourt, between home and schools. For some reason I immediately knew that Colorado was a place where I could settle down, and I’ve now been here for nearly twenty years, and my children have lived all their lives here, a very different experience from my own. My second trip to Colorado was to go snowboarding with my Norwegian friend. I’d always told him I couldn’t imagine myself enjoying recreation in the cold and snow, but I was completely wrong. Snowboarding became one of my favorite activities, and a surprising conduit for my writing. Having world-class ski resorts nearby became another anchor to the state. I still do crave travel, and I’m lucky enough to do so fairly often, but I seem to have found a home somehow immune to my deep restlessness, and an environment that readily inspires me to write. EHS: You recently released your first poetry chapbook, Ndewo, Colorado. Congratulations! How did you go about assembling the poems, deciding which ones to include, and so on? UO: In the late 2000s I started to assemble a manuscript of poems relating to my identities as an Igbo, dovetailing with the Nigerian identity so carefully indoctrinated into me in secondary school, merging into my strong pan-African sympathy, but utterly muddled by my identification as an American, and my affinity for Britain, deriving from time spent in both places. It’s a pretty complicated picture of self and belonging, exacerbated by the timing of so many of my travels. As a child I felt a misfit everywhere, as I express in my poem “Growing up Misfit” at The Nervous Breakdown. At the same time, I have this powerful tendency of fondness for places, for local cultures and traditions, however different and far-flung, which has led me as a grown up to feel as if I belong everywhere. The manuscript of poems I’ve mentioned was a full-sized collection of poems probing my ancestral taproots while feeling around the wide ranging tendrils left from my travels. It turns out that’s quite a conundrum to settle into a single volume, and to some extent I think I began to resist the effort. I started to think of it as the mirage manuscript. Around then several off-hand comments from writing friends gave me the idea to turn my attention to something lighter. I had written many poems about Colorado, and my adopted home state was a topic I could take on without so much of the freight of identity. Because it felt such a freeing experience, it went quickly. I ended up pulling together the poems within months, starting with a list of all the poems I could find that I’d written about Colorado. After trying out a few arrangements I went with a figurative sequence of a two year cycle, starting with poems with a spring theme, and then to summer, autumn, and so on back to spring and through one more season cycle, ending in the second summer. That cycle gave me a simple principle for choosing poems, and it was in my mind in a period while I was writing quite a bit and exchanging work with other poets, so new poems came to me particularly to fill spaces in the manuscript. I thought of the product as a sort of diversion, although a productive diversion, so I was fine with chapbook length, and I left out some of my poems on Colorado if I thought they didn’t fit the chosen arc as well. This journey had the intended, enjoyable effect, but I must admit that I had hoped it would also give me the boost I needed to settle back to work on the larger, mirage manuscript, but though I’m still writing a lot, I continue to be defeated by the specter of that mirage manuscript. EHS: You released Ndewo, Colorado through Kelsay Books. Why that publisher, and would you recommend Kelsay to other poets? UO: I was fortunate to have submitted the manuscript to Kelsay Books first (simultaneously with a couple of other places); I learned of them through having a couple of friends among my fellow formalist poets who had been published there. I received a response quite rapidly and I found them to be very efficient, conscientious, and courteous. I’d worked with publishers before, but with my software technology hat on -– I’m a freelance writer focusing on advanced Web technologies, on which topic I’ve published over three hundred articles and a few book sections. In that generally much better funded space I’ve come to expect such professionalism, but some of the horror stories I’d heard from other literary writers led me to fear the worst when trying to get a volume of poems published. I’m delighted to say that working with Kelsay Books was every bit as satisfying as I could hope, even down to the process of cover design, where I had the idea for a Colorado license plate cover and figured out how to render the image, while the publisher designed a suitable cover around it. I do definitely recommend them. EHS: Ndewo, Colorado won the 2014 Colorado Book Award in the Poetry/Chapbook category. Congratulations! What did you do after the announcement? How did you celebrate? UO: I was completely taken aback by the award. 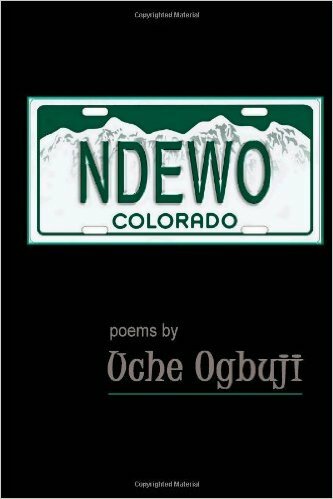 When I heard Ndewo, Colorado had been shortlisted, and from how many chapbooks it had made it to the final three (we Colorado poets seems to be quite prolific) I think I wondered if there’d been some sort of mistake. I’ve learned the hard way that my idiosyncratic style as a poet can be hard to fit to establishment tastes. I’ve had editors tell me they have no idea what to do with my madcap mélange of diction and outright language, scattering of a variety of cultural codes, science crammed in with mysticism, all often in unfashionable form and even rhyme. I’m very grateful to those who’ve persevered to grasp what I undertake, and to publish it (thank you EHS!). I didn’t know to expect such perseverance from the readers and judges of the Colorado Book Awards, but it I was delighted just to be a finalist, if for no other reason than that such status would maybe intrigue future readers enough to spend the extra minutes I’ve been told my work sometimes takes to appreciate. The three finalists were invited to an award dinner in Aspen, and my parents flew in for the occasion, which was a lovely touch. I don’t think my parents knew what to make of me as a poet. They’ve always been satisfied that after threatening to rebel in my preference for the humanities as a schoolboy I fell in line and worked towards admission to Engineering school. I’m not even sure they were aware that I’d had dozens of poems published in various journals by the time my book came out, but they did appreciate something as tangible as a book, and it was brilliant to have them there with my wife and daughter (we left the boys at home) for the very fine ceremony put on by Colorado Humanities. EHS: Where can folks find Ndewo, Colorado? UO: The book is on Amazon. EHS: Which books would you recommend to those curious about the Igbo, especially Igbo mythology? UO: Unfortunately, thanks to the missionary success I’ve mentioned, there’s a scarcity of books approachable by the non-Igbo. This is a gap that my generation is finally getting serious about closing, and I’m part of a movement to revive Omenala or Odinani, the Igbo traditional religion, to revive while updating for modern use Nsibidi, the traditional writing system of religious temples and societies. Nsibidi is an interesting case study. Its very existence was suppressed by colonials, and just about forgotten by native Igbos as English and latin script took over, but its persistence is demonstrated even by the discovery of Nsibidi messages on trees in southern USA and other parts of the Igbo slave diaspora. The first book that comes to mind is the novel that has already introduced so much of the world (translated into more than fifty languages etc.) to Igbo culture, and the depredations of colonization, Chinua Achebe’s Things Fall Apart. 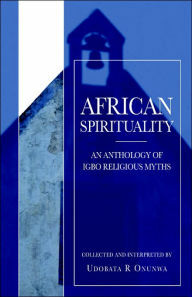 A straightforward collection of myths I can think of is African Spirituality by Udobata R. Onunwa, which despite the broad name is focused on the Igbo. Unfortunately it can be a bit hard to find. For those who want a deeper, more of an esoteric insider’s take on Igbo mysticism, see After God is Dibia by Anenechukwu Umeh. There has recently been a fair amount of curation work on the Igbo Mythology wiki page, and there’s an excellent blog on the topic, Odinani: The Sacred Arts & Sciences of the Igbo People. EHS: What advice can you offer to aspiring poets, especially those who have to find the time and energy to write while working a “real” job? UO: Honestly, I think it comes down to that old idea that love finds a way. I’ve always loved writing, but my parents chivvied me towards what’s considered a more pragmatic career in engineering. I kept the love alive and really latched on to poetry while in University, and I think by that time I assumed I would always look to write, no matter what else the writing had to compete with. The day job was actually a much lower barrier than moving to the US and feeling as if I’d never find a community of like-minded poets. Despite that loneliness I always woke up early to read and memorize my favorite poems, and to write. I mention memorization because I think it’s my secret weapon. It leads to compression. Many of my poetic models are carried off head, and readily accessible as such. I often start a poem in what early morning time I can eke out, before the rest of the family awakes. I carry the seeds around in my head throughout the day, where they jostle with everything else in my personal spiritus mundi, and I believe that accelerates the emergence of the work when I can get snatches of time to jot it down. EHS: Which book fairs, conventions, or other events will be attending in the foreseeable future? UO: I wish I had a better answer, but besides local Colorado poetry meets and festivals, especially in the west of the state, I haven’t really been out and about in the poetry world for too long. That’s what suffers the most when work, work travel, and family commitments overwhelm. Not the writing itself, but events around the writing. UO: Here’s another example where the writing continues, but everything abutting the writing has suffered. Kin Poetry Journal, which I co-founded and co-edit, stumbled into hiatus when all the principals had major life events and upsurges in other commitments at the same time. I haven’t had a chance in ages to maintain the @ColoradoPoetry Twitter feed I started. Even the big, bad mirage manuscript has found itself tucked into a corner and too entirely unmolested. After a seven year or so period of keeping myself very busy with poetry projects I’m in a phase, perhaps a brief one, where the background fades away and leaves just the writing. As long as the reading and writing continues, all is well. Ékè is the Igbo feminine creative essence of the universe, and the destructive, trickster energy of all concrete and abstract entities. Ékè offers similarities with Vishnu in her many manifestations, though less personified. Traditionally, ékè was indivisible part of the supreme being, Chineke, a masculine/feminine continuum which was hamfistedly identified with the masculine Mosaic monogod by Christian missionaries. I like to think my most important project is teasing back apart the nuances of chi and ékè in poetry, which of course would be governed by my personal spirit or chi, and the broader creative force of ékè (somewhat à la ātmā to brahma). When the time is right to renew my various projects, the impetus will come to me through ékè, and I’m content to remain poised for when that miracle arrives.